How much is Zinedine Zidane Worth? 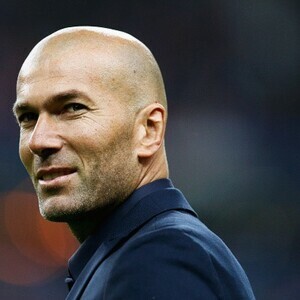 Zinedine Zidane net worth: Zinedine Zidane is a French retired professional soccer player and coach who has a net worth of $70 million dollars. Zinedine Yazid Zidane was born in Marseille, France in June 1972. As a professional soccer player Zidane played for Cannes, Bordeaux, Juventus, and Real Madrid. He also represented France in international competition from 1988 to 2006. Zidane was nicknamed "Zizou" and played as an attacking midfielder. He was named the best European football of the past 50 year by UEFA in 2004. He helped lead Real Madrid to the UEFA Champions League and the La Liga title. He also won two Serie A league championships playing for Juventus and won a EUFA Super Cup and Intercontinental Cup. In 2001 his transfer fee set a world record of $75 million Euros. He scored twice in the final match to help France win the 1998 FIFA World Cup. He was named Player of the tournament winning the UEFA Euro 2000. In 1998 he was awarded with the Legion d'honneur in France. He was the FIFA World Player of the Year three times and won the Ballon d'Or. In the 2006 World Cup he received the Golden Ball award. He retired following the 2006 World Cup. 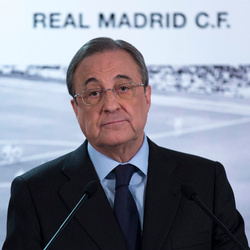 In 2011 he became the new sporting director for Real Madrid and became assistant coach in 2013.